5G technology will make hologram reporters a reality, enabling people in the future would go beyond than virtual reality to experience the news event through advanced immersive experiences technology, an industry expert said. 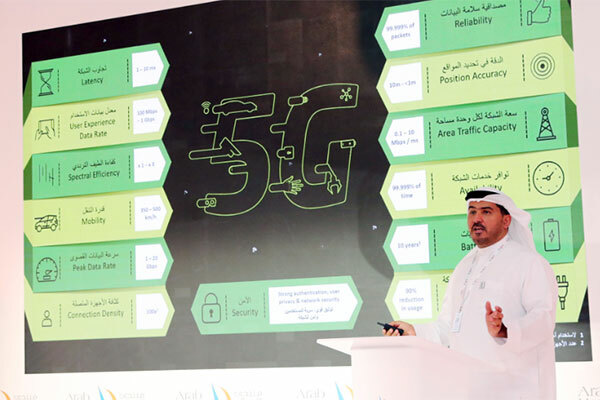 Khalifa Al Shamsi, chief strategy and governance officer, Etisalat Group was at the two-day Arab Media Forum, the largest annual gathering of its kind in the Arab region, in Abu Dhabi, UAE. Etisalat was the official telecom partner at the event and in its 18th year of participation. Al Shamsi highlighted in his session that media plays an increasingly significant role in our lives as a trusted source for news and information, and beyond that also a source for entertainment. It is also a powerful communications platform for the society with the ability to influence people’s opinions and perceptions therefore making a significant social impact at all levels. Media industry has undergone drastic transformation in recent years, and mainly due to the major technology advancements the world has witnessed. He went on to highlight the advances in technology and how it has facilitated the growth of the media sector. The investments in 5G networks will play a significant role making a positive impact on the media. 5G has ‘unlimited capabilities’ with high speeds and ultra-low latency. Live feed news coverage for reporters in the field specifically for breaking news and multi-location interviews for the TV industry were cited as examples for the future of media on the 5G network. The high speeds for data download/upload speeds will benefit all journalists in particularly investigative reporters. These advanced capabilities will also be of immense benefits in media coverage of major cultural events, especially large-scale ones such as the upcoming Dubai Expo 2020. This will enhance the broadcasting capabilities for external coverage vehicles, create futuristic media platforms, and augment the services of content providers. High speeds and low latencies would also boost the quality of the media’s interaction with its audiences. Currently globally there are 5 billion smart phone users with the number projected to surpass 7.2 billion within the coming 5 years or less. 5G data usage will comprise of 25 percent of the total global data transfer share. Video and immersive experiences will form the core of future 5G network capabilities giving users near life-like experiences with maximised levels of 2-way interactions. 5G networks will have a significant and positive outcome for the media and entertainment industry. There will be a transformation for fixed networks whereby globally all markets would move to a single telecom network that delivers 24/7 links to the rest of the world. This would elevate financial revenue, create new sources of income from advertising and content and have a wider outreach. In such a scenario, all segments of the society should be familiar with advanced technologies which it makes important to have new regulations and legislations to be put in place to safeguard people’s privacy as well as tackle cyber security and intellectual property. He concluded his talk by pointing out that it’s imperative that we have media entities ready and willing to adopt these new technologies in order to ensure its leading regional and global status.